Some rich guy in the Philippines just took deliver of the first Ferrari F12 in his country. Why? Just so he'd have the chance to be considered to be allowed to buy a LaFerrari. 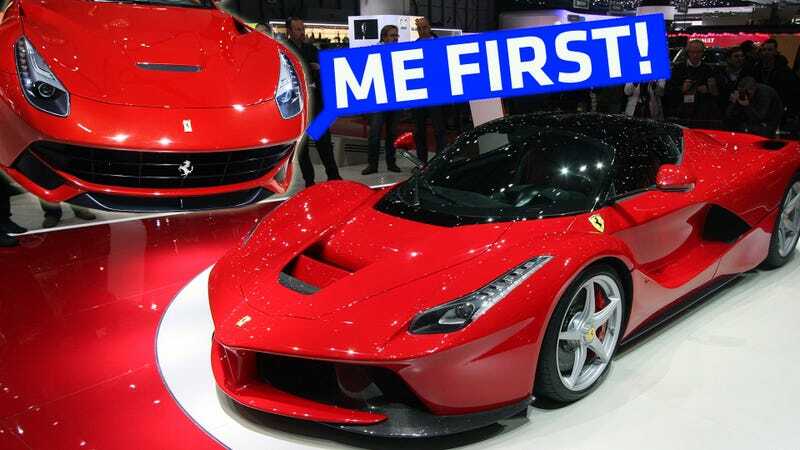 Ferrari won't even think about selling you a hybrid supercar unless you have at least five prancing horses in your garage already, reports Top Gear Philippines. This particular LaFerrari hopeful had no choice but to buy a 730-horsepower V12 grand tourer for something around 32.9 million pesos (around $753,000). Hopefully now the sales department at Maranello will consider him worthy of their top model.